Entertaining overnight guests is always a pleasure. Though, as the host, it’s nice to go the extra mile to ensure your company feels right at home. 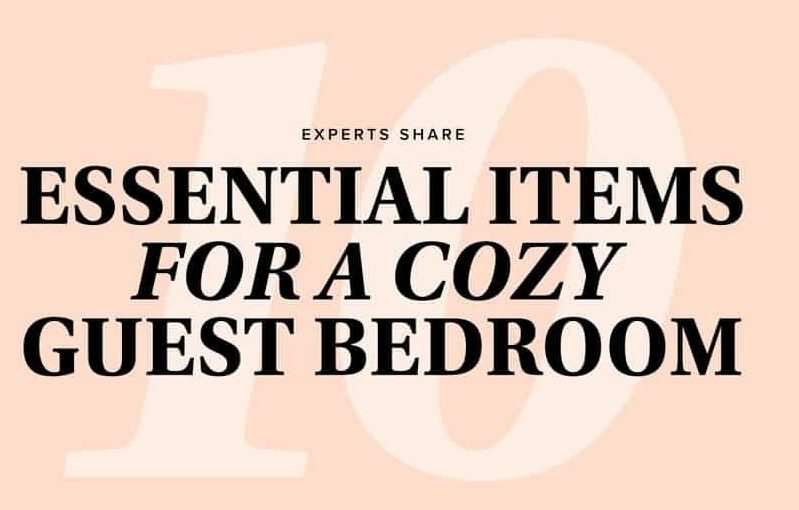 According to this visual guide “The 10 Essential Items for a Cosy Guest Bedroom” by Bedowl.com, the trick is to providing a welcoming bedroom is to include every creature comfort your guests could need or want. Gathering the opinions of 16 home decor experts, the infographic presents the top ten items you need for a comfortable guest room. Although most of the items are self-explanatory, a few might surprise you. In addition to fresh bed linen, fluffy towels and comfy pillows you should consider stocking your guest room with the following amenities. A carafe of water – a small vessel, freshly filled, with a couple of glasses prevents your guests from needing to rummage through the house in the middle of the night when they get thirsty. A basket of basics – a ‘just-in-case’ collection of travel-size toiletries (toothpaste, a facecloth and saline solution) to make your guests feel cared for. The Wi-Fi password – either print it on sturdy cardstock or write it on an empty picture frame and place it beside the bed so that guests can find it at a glance. Interesting reading material – a couple of coffee table books or few current issues of a general lifestyle magazine make a nice touch. Read on to discover a few more essential items you need to include to give your guests that home-away-from-home feeling.